Greetings to the Millbrook Community and all of our families! Please join me in embarking on a successful school year as Millbrook continues to be an outstanding, dynamic, and vibrant place to learn! We continue the great work in building a solid educational foundation for each and every student. Millbrook will continue to prepare all students for middle, high school and beyond! Working together with staff, students, parents, and the extended community, our school will provide a safe haven for learning and fun, too. Through this message, I wish to officially welcome you to what we hope to be an exceptional year of learning. I believe that all students must encounter academic, personal, and social success to pave the way to productive futures. The Millbrook staff and I plan to make this school year a successful one for your child through rigorous academics, meaningful activities, and by providing the support they need to achieve and succeed. Know that we shall continue to make Millbrook a special place through care, compassion, and nurturing through the development and maintenance of strong relationships with our students, teachers, parents, and extended community. Our hard-working teachers and staff, through their collective commitment to our students, can make this happen. The purpose of this handbook is to provide an easy to use, at a glance reference about our school. The handbook is intended to be a guide with the understanding that at times, individual circumstances arise requiring careful consideration. Additionally, it also supplements teacher informational items provided at the beginning of the school year. Use it in a way that benefits you and your student. I hope you find it useful. Finally, please be aware that we are reaching out with a school donation campaign to help us get through a recent 20% budget cut to our general funds. Please consider making a donation to our school to keep us current with technology, extra curricular items and help defray the cost of field trips and general supplies. In order to do so, go to our website at http://www.millbrook.eesd.org. Scroll down to where it states “Support Us” and states, “Make a secure, tax-deductible donation by MC, Visa or Discover.” Be sure to choose Millbrook.” You will see a “Donate Today” button. From there, click on the button “Donate” featuring evergreen tree in the background. Choose “Millbrook” from the drop down menu. Indicate the amount with any comments in the text box. Enter your email address for confirmation. Hit submit. At that time, it will take you through the process of entering your credit card information. Make sure you click on “Process Payment” at the end. You will receive confirmation of your donation. Your donation will go directly to Millbrook Elementary School! The Millbrook community works together to provide students opportunities to take risks in a safe, nurturing environment. We provide challenging experiences, which address the needs of the whole child while promoting responsibility, respect, and compassion for others. Millbrook’s vision is to foster thoughtful, caring, and creative students. They will be critical thinkers and problem solvers. Students will be confident, prepared for future success and achieve their academic and social potential. Evergreen School District, located in the City of San Jose, is comprised of eighteen elementary schools and three middle schools. Once a small farming city, San Jose became a magnet for suburban newcomers between the 1960s and the 1990s, and is now the third largest city in California. The city is located in Silicon Valley, at the southern end of the San Francisco Bay Area, and is home to more than 1,000,000 residents. Millbrook Elementary School is located on the east side of the district’s borders. Millbrook opened its doors in 1985 as the thirteenth school in our district. In the 2016-17 school year, the school served approximately 650 students in grades Kindergarten through six on a traditional calendar schedule. The school provides a family-oriented, nurturing, and safe place for students to learn, grow, and develop intellectually. Teachers, staff, and administrators continue to act on the principle that students come first. 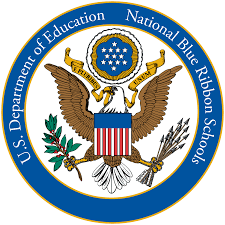 The U.S. Department of Education honored Millbrook with a National Blue Ribbon Award in 1997. This award is given to schools which have achieved high levels of performance or made significant improvements in closing the achievement gap. Millbrook was awarded the California Distinguished School Award in 1993, 1997 and 2006. This award recognizes the outstanding achievement of our students and the hard work of our teachers and parents.